A father has been kicked off YouTube over videos depicting his young daughters screaming, crying, pretending to throw up and urinating. YouTube has terminated the Toy Freaks account, created by Greg Chism and viewed by millions, due to content of his two daughters being deemed ‘disturbing’. Chism – who called himself Freak Daddy – became a YouTube sensation with 8.53 million followers when he started uploading videos of his daughters pretending to be babies and wearing dummies for his comedy skits and pranks. The videos often come under the YouTube umbrella trope of ‘Bad Baby’ videos – a concept credited to Chism himself – and toy hauls. They were uploaded with keyword-filled titles by the Illinois family, and despite starting out innocently enough became more obscene. Other videos uploaded by Chism targeted YouTube’s young audiences, and featured educational segments. But the gross-out, so-called humour wasn’t appreciated by all – with some saying he took advantage of his children with other parents claiming his videos encouraged bad behaviour. Now, the channel has been terminated for violating YouTube’s updated child endangerment policy, which the Google-owned service recently revised following media coverage of disturbing and bizarre videos aimed at children, reports The Independent. YouTube informed me of concerns that my videos were attracting audience members who do not have children’s best interests in their hearts. Many YouTube community members expressed similar concerns, and their willingness to reach out to protect my children and all children from exploitation reinforces my faith in the YouTube community. Victoria, Annabelle and I want to thank our supporters as my girls have had the opportunity to develop their creativity and self-confidence over the past few years. Their future is bright. 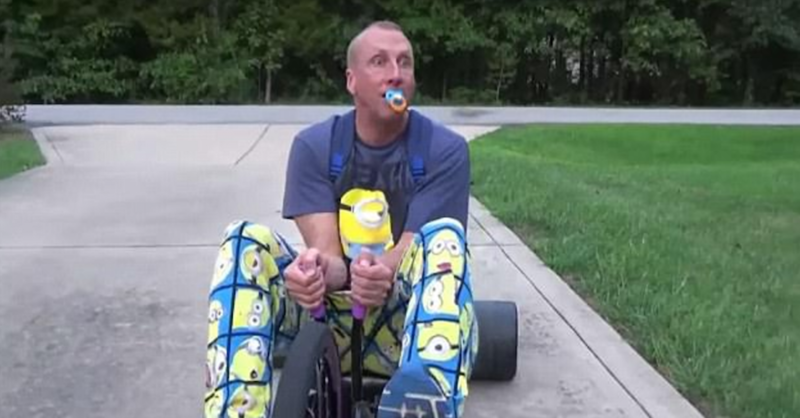 Chism, a landscaper who was once considered a leading lawn care YouTuber, commented on some members of the YouTube community using his Toy Freaks videos in disturbing ways he never intended. While it is disturbing to me that anyone would find inappropriate pleasure in our video skits, I deeply appreciate YouTube’s concerns for my family and I could not be happier with having had this remarkable experience. We take child safety extremely seriously and have clear policies against child endangerment. We recently tightened the enforcement of these policies to tackle content featuring minors where we receive signals that cause concern. It’s not always clear that the uploader of the content intends to break our rules, but we may still remove their videos to help protect viewers, uploaders and children. We’ve terminated the Toy Freaks channel for violation of our policies. We will be conducting a broader review of associated content in conjunction with expert trusted flaggers. Chism’s channel appears to have been caught up in a broader purge targeting a wave of strange and inappropriate videos aimed at young YouTube Viewers. Toy Freaks’ most-viewed video was ‘Bad Baby Real Food Fight Victoria vs Annabelle & Freak Daddy Toy Freaks Family’ which had 622 million total views, and had the potential to earn upwards of $13 million per year from ad revenue, according to analytics site Social Blade. The Toy Freaks Instagram is also currently unavailable, while the Facebook page remains live. Many followers and fans of Toy Freaks have used the Facebook page to express their support for Mr Chism and his family.